Two Flute TiN Coated End Mills - 5/16" Dia. 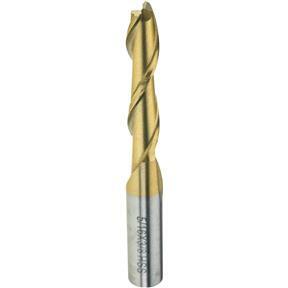 Grizzly G9686 - Two Flute TiN Coated End Mills - 5/16" Dia. Titanium Nitride coated, 2 flute, single end mills stay sharper longer. Shank diameter is 3/8".Diameter: 5/16"Flute Length. : 1-3/8"Overall Length. 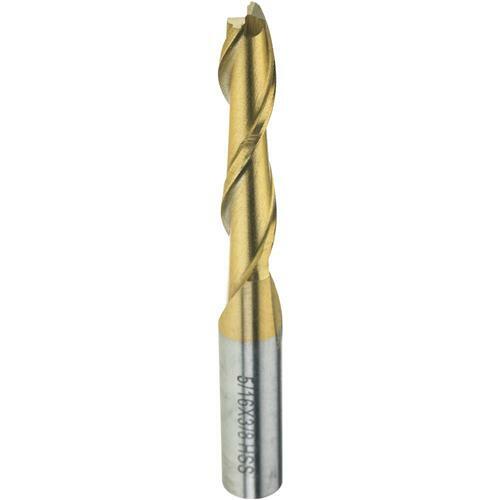 : 3-1/8"
Titanium Nitride coated, 2 flute, single end mills stay sharper longer. Shank diameter is 3/8".